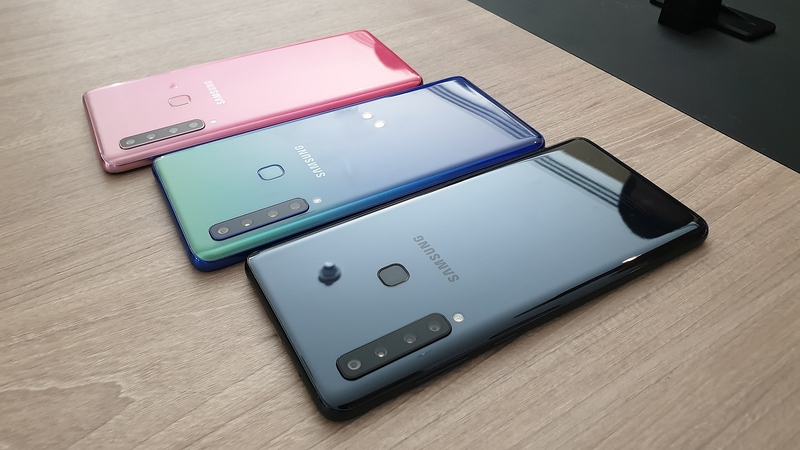 Samsung has launched the Galaxy A9 (2018), the world’s first smartphone with four rear cameras, in India today. The company held an event in Gurgaon to unveil its latest Galaxy A smartphone in one of Samsung’s most important markets. India was also one of the markets where the Galaxy A7 (2018) was initially launched, although the A9 (2018)’s Indian launch comes after the device went up for sale in a number of other countries. The Galaxy A9 (2018) will compete with the OnePlus 6T in India in terms of pricing. The Galaxy A9 (2018) starts at ₹36,990 (roughly $520) for the base model with 6GB of RAM and 128GB of storage. The OnePlus 6T comes at just ₹1,000 more for the base variant, but while it offers a more complete package, the A9 (2018)’s dedicated ultra-wide and telephoto cameras make it stand apart from everything else on the market. The 8GB version of the A9 will be available for ₹39,990 (roughly $560). Consumers ordering it with an HDFC credit or debit card will get an instant ₹3,000 cashback. Pre-bookings for the device start today at Amazon, Flipkart, Samsung Mall, Paytm Mall, and the Airtel online store. Color options include Bubblegum Pink, Caviar Black, and Lemonade Blue. Deliveries will start on November 28th, the same day the phone will also hit offline retail stores. For more on the Galaxy A9 (2018), do check out our hands-on experience, and also see how its four rear cameras make a difference to what you capture. We’ll have our official review up in the coming days.